AMD released Ryzen processors and created some buzz, but in doing so spurred some competition with Intel, the sleeping giant. After years of unchallenged supremacy it is responding to the new threat of Ryzen processors by going into all-out competitive mode. 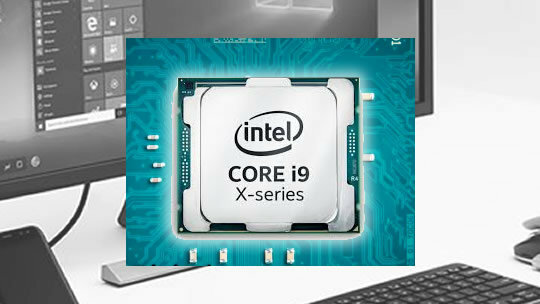 The i9 will be again the benchmark for processors. It is no secret that Intel has dominated the high-end consumer CPU landscape for quite some time. Intel on Tuesday took to the stage at Computex in Taipei, Taiwan, to unveil its newest range of processors, dubbed the X-Series. With its eyes set on content creators, overclockers and pro gamers, Intel is pulling out all the superlatives it can muster to talk up the “extreme” processing power it’s offering. But extreme doesn’t come cheap. As the world waits for Intel’s eighth-generation processors, the company says its next iteration of seventh-gen chips will offer “extreme enthusiasts” greater speeds and less downtime with its most powerful range of processors to date. Helping you to select an appropriate Office 365 plan for your business. Setup and configure your Office 365 account, users and devices. Migrating mailboxes and additional outlook data to office 365.